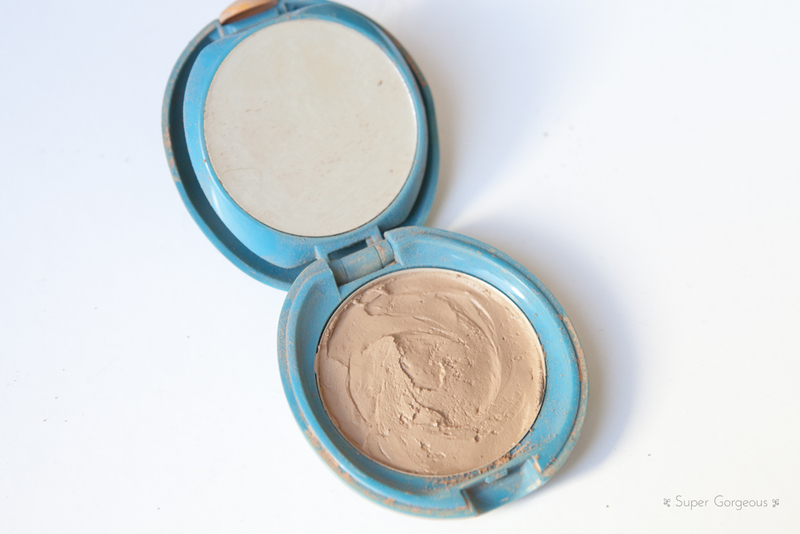 In yesterdays post I mentioned that I had a Shiseido Compact Foundation, which had completely smashed up. Today, I rescued it with the help of a tutorial I found online. 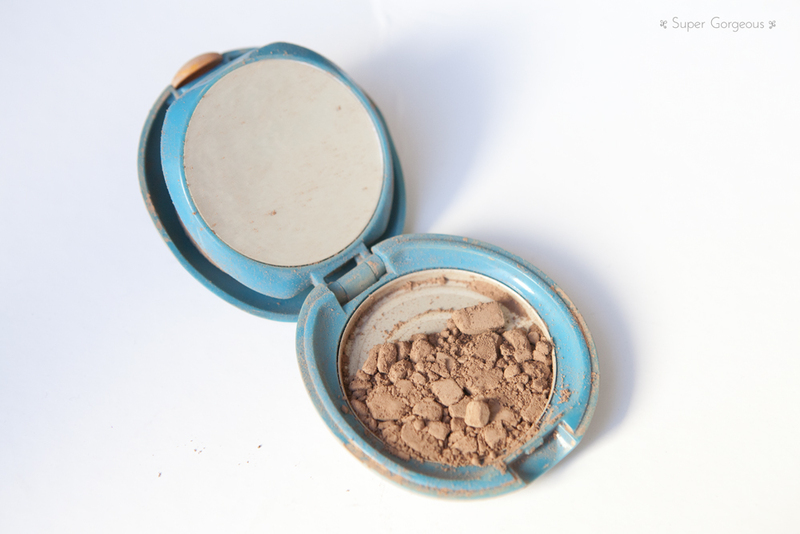 I'm sure it's happened to most of us - fact of the matter is, powder based products do smash - but that doesn't have to mean the end for them - they can be saved very simply... save them! ...and tip it into a small bowl. I used the pointy end of an orange stick to scrape out all the bits that were still stuck in the pan. 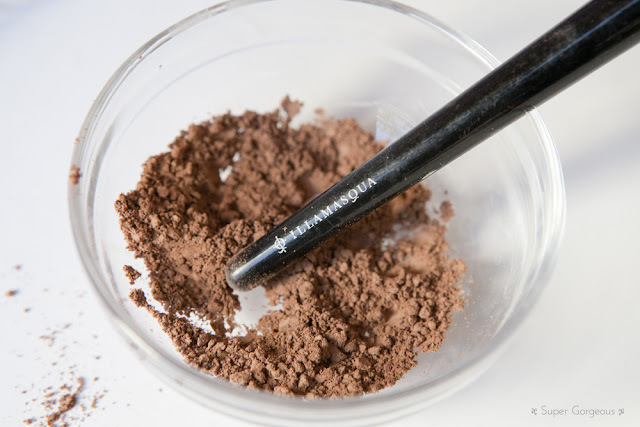 Use the end of a brush to break it up into a fine powder. 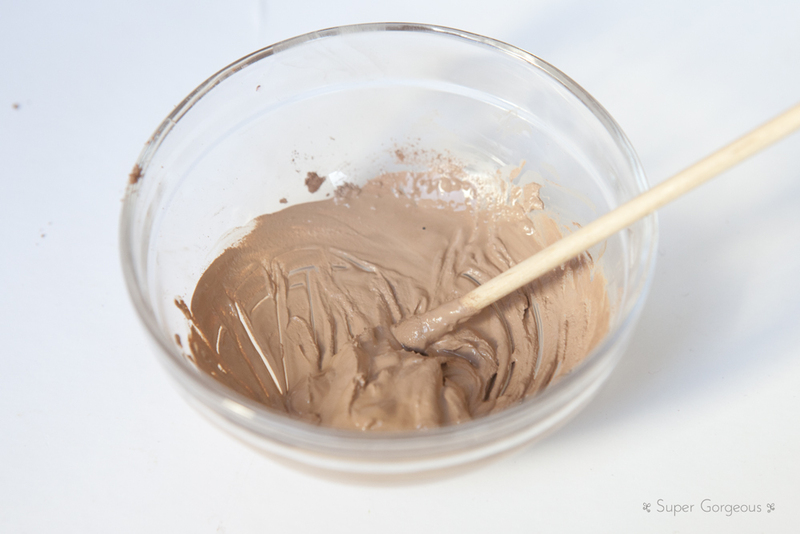 Then tip in a small amount of Surgical Spirit and mix it up using an orange stick, or spoon to form a paste. It's best to add a little bit of Surgical Spirit, seeing if more is needed, then adding more if necessary. It doesn't matter too much if you go overboard with it - it will just take longer to set. Use a spoon to put it back into the empty pan, then leave it for a couple of hours somewhere where it won't be disturbed. You can use a paper towel to press down and help shape it after a couple of hours - then leave overnight to set completely. And there you have it - as good as new! This technique would also work to get your pigments into set powders. Happy setting! do you try it? and what about the finish after that????? Very interest post!!!! Brilliant advice thanks! I have three smashed up pressed powders (don't know why I keep them as never crossed my mind I could 'fix' them) and I'm going to try this as soon as I can get my hands on some surgical spirit. amazingly useful, thank you doing a tutorial on this!! This is great! I have a very dark brown Benefit eyeshadow that is practically new and which I use all the time. I dropped it and the powder smashed to smithereens: if the tiniest specs escape, they leaves marks. I never considered the possibility I could fix it! Oh my goodness!!!! Thank you so much for this!! I don't know what Surgical Spirit is, but I'm gonna try this! Brilliant post! This is an amazing tip which I must try immediately!!! thank you for this - just fixed a bronzer I love and had been discontinued. Can't wait to use it again!